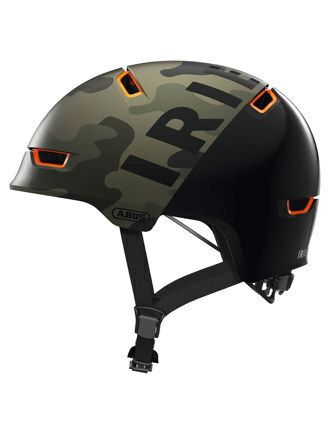 IRIEDAILY has teamed up with the helmet manufacturer ABUS to create three stylish models in the typical IRIEDAILY color design: the classic IRIEDAILY CI-look in matt black, the retro sports look and the never-ending camouflage look! The ABUS Scraper 3.0-ACE is a new helmet line with a unique double shell finish, which the Berlin product design agency KRB.BERLIN developed for ABUS. The ABUS Scraper 3.0-ACE is an optimal mix of safety, comfort and style and is therefore perfectly suited for your rides through the city, bike tours or your faster laps on the Tempelhofer Feld. 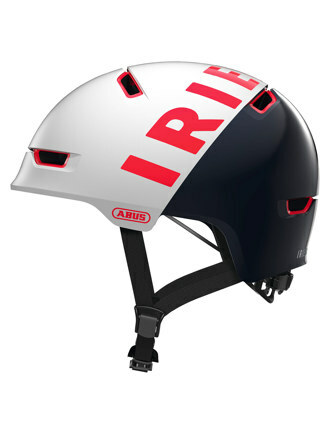 Helmet or not! Your head will be greatful!